Cisco Systems, Inc. (NASDAQ:CSCO) has pulled its ads from Alphabet Inc Class C (NASDAQ:GOOG) YouTube accusing the networking giant of temporarily removing its ads from the site. Google pulled down ads from a number of companies including Cisco after an investigation by CNN concluded that the ads were being run alongside YouTube videos that promote pedophilia, Nazis, white supremacists, North Korean propaganda and conspiracy theories. Writing on the company’s blog, Karen Walker , the Chief Marketing Officer of Cisco said that although Facebook, Inc. Common Stock (NASDAQ:FB) and Google have made significant steps to correct the issue, the company was withdrawing all its online advertisements from YouTube until its standards are met. However, the company later pulled the blog post down, edited and republished it with a much soft tone from the previous one. The new post removed direct reference to YouTube, Facebook and Google. In the new post, the company said that it is working closely with its media partners to ensure that the company’s online advertising fully comply with its stringent standards. The post went on to say that the company only advertises where its standards are fully adhered to and where content that is inappropriate to consumer is not shared. In 2017, Cisco and Google jointly launched a high-profile hybrid cloud project. 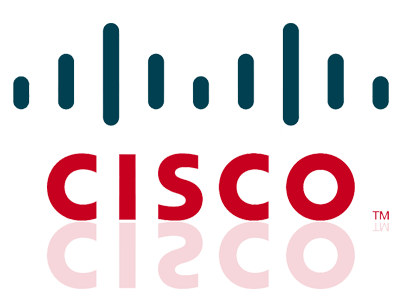 Cisco said that it edited the post so as to address a burning issue affecting the entire industry without making any reference to a customer or partner. The company said that the new post satisfactorily addressed its position regarding brand safety. Many companies use YouTube to air their ads just before brand-safe content. However, an investigation by CNN discovered the content filter on the site had failed to prevent ads from Amazon.com, Inc. (NASDAQ:AMZN), Mozilla, LinkedIn, Netflix, Inc.(NASDAQ:NFLX) and Facebook from airing on objectionable videos. CNN, in one of the cases, found that a co-branded ad from Nissan and Walt Disney Co (NYSE:DIS) on diversity in the film industry had been aired against a video from former KKK Grand Wizard David Duke and which was touching on generic differences between blacks and whites.